3 April 2017 – LONDON - London based broker One Financial Markets has further cemented its presence in the Middle East with new regulatory approval from The Dubai Financial Services Authority (DFSA), the regulatory authority for the Dubai International Finance Centre (DIFC). 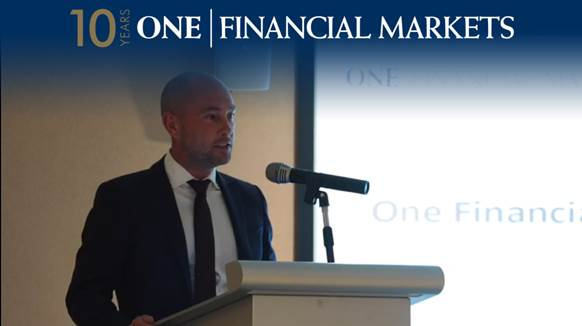 Announcing the opening of their new offices at the DIFC, this latest strategic milestone in One Financial Markets’ history since their establishment 10 years ago only further strengthens their regional presence and commitment to their client base in the MENA region. It was pointed out by Mr Henderson that the volumes traded globally in foreign exchange markets is estimated to be around US$5 trillion daily. Finally, Mr Henderson praised the level of awareness the people of the UAE, and the region in general, have about the legal and regulatory aspects of online trading, noting that this encouraged the company to further expand its services in the region. With One Financial Markets commemorating its tenth anniversary this year, Henderson asserted that the new Dubai headquarters is a key office in the firm’s network, including its London Head Office and the recently incorporated Hong Kong office. Mr Henderson informs us that One Financial Markets has over 30,000 clients across the Middle East and Asia. He explained that the company offers its clients training programmes through its trading academy, enabling them to manage and understand trading risk, as this market includes high profit opportunities but also high levels of risk. Therefore, a demo account is provided to help traders familiarise themselves with the markets and trading systems before they delve into real trading.